GOV AMBODE WANTS TO TECHNICALLY REDUCE LAGOS POPULATION BY IMPOSING HUGE CHARGES. LAGOS LAND USE CHARGE INCREASE PART OF APC OPPRESIVE GOVERNMENT - BARR. FRED OGHENESIVBE. The good people of Lagos State have been told to vote out the oppressive and insensitive APC government in 2019, so as to enable the Peoples Democratic Party (PDP) rescue them from the terrible socioeconomic burden and multiple taxation recently introduced by Gov Akinwunmi Ambode and the state government. Executive Assistant to His Excellency the Governor of Delta State on Communications, Barrister Fred Oghenesivbe made the call in an exclusive interview with SUPERSCREEN television in Lagos, South West Nigeria. He opined that the insensitive nature of the APC national government to the plight of suffering and jobless Nigerians is further reflected in the "if you die of multiple taxation, I don't care" attitude of the Ambode administration which the Ikeja Branch of the Nigerian Bar Association (NBA) described as a retrogressive, insensitive and anti people tax policy. "I am a member of the NBA Ikeja Branch and it is the view of our noble association that the Governor of Lagos State, Akinwunmi Ambode must reverse the poverty activator increase in land use charges, capable of sending majority of Lagos residents back to their villages. "I personally see the huge increase in the land use charges as a technical method of local deportation of poor and low income earners from Lagos back to their villages across Nigeria; so that the city can consist of aristocratic rich and wealthy business tycoons and corrupt civil servants that have the financial muscles to satisfy Gov Ambode's large appetite for seven digit tax payers in the state. "The entire APC government across the three tiers of government in the country have demonstrated more than enough proof that the party and its leaders have no relationship and no social contract with the poor masses; pointing to show that APC is an aristocratic and militocracy government headed by an ex-military dictator, where the rich get richer and the poor gets poorer. "The simple implication of Gov Ambode's wicked and draconian land use charge initiative is that the poor tenants will continue to be at the mercy of their landlords who will have no problems increasing rent arbitrarily so as to satiafy the insensitive demands of the APC and Ambode administration. "This singular inhuman conduct of Gov Ambode will certainly jack up rate of suicides in Lagos State because those already choked up by the APC induced economic recession may not be able to stomach the Ambode multiple taxation policy and this, in my considered opinion, may result in self defeat, destiny abortion and subsequent goodbye to the world and Lagos State by frustrated poor Lagosians. 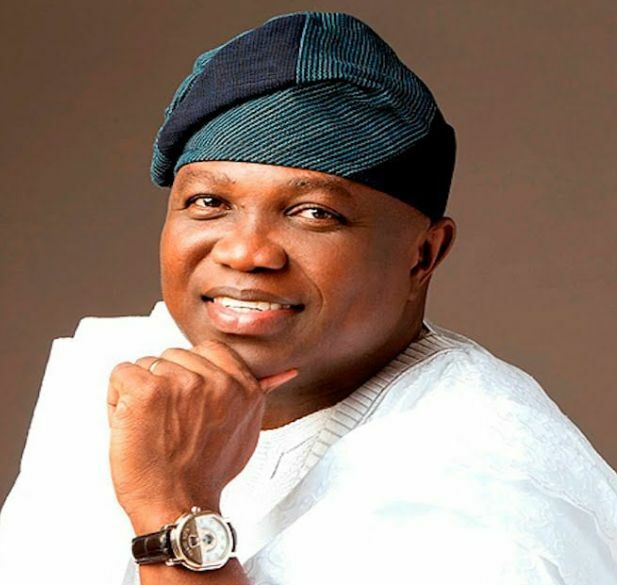 "The only solution to avert these perceiced suicides by some poor Lagosians is for Gov Ambode to heed the warning of the Ikeja Branch of the NBA and other stakeholders; to quickly reverse the new land use charges calculated to cost each landland and his/her tenants nearly N500,000 every twelve months," Oghenesivbe said.